Kitty Is Too Lazy To Walk, So When He Finds Something To Carry Him Around? Just Watch… Hilarious!! 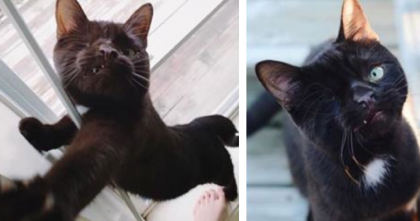 This cat doesn’t feel like walking on his own four paws anymore, so who does he find to be his loyal servant? This unlikely pig! Whether he likes it or not, the pig is a free ride to one happy kitty perched on top. The cat looks comfy and cozy – not ready to move anytime soon! 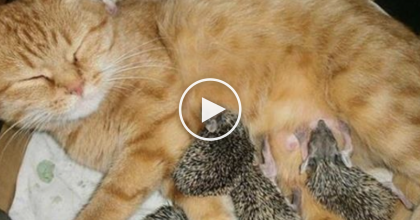 This cat is too funny, hahaha!—SHARE this strange video with your friends! 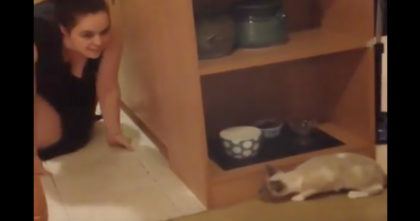 Cat attempting to play ‘Hide And Go Seek’ but then all of a sudden… He didn’t expect that coming!! 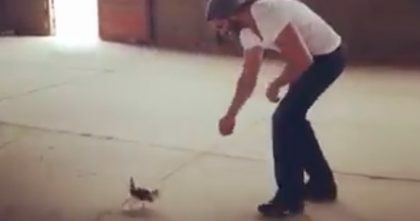 When This Kitten Chooses His Human, The Reaction Will Melt Your Heart… This Is The CUTEST EVER!! 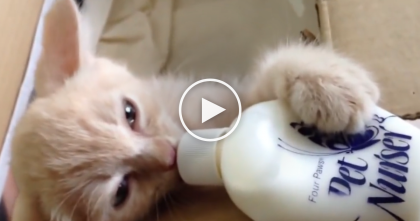 Kitten Drinks From A Bottle On His Own, But Watch His Ears… OMG! !